We finally get to see what Disney has planned for their next live adaption of their animated classics. The Lion King is one of Disney’s most successful and memorable films, regarded for its incredible story, wonderful animation and amazing songs. The live action CGI film looks to recapture that moment with a teaser trailer that is a near perfect match for the original film. 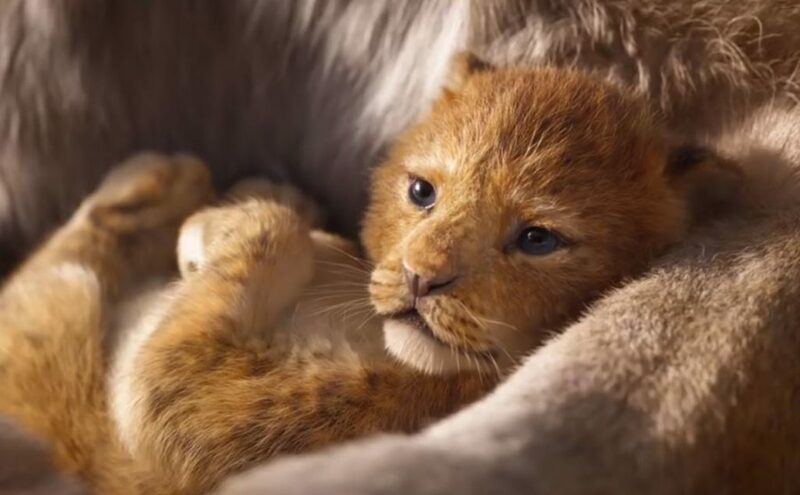 The 2019 Lion King film is directed by Jon Favreau and stars Donald Glover as Simba, Beyoncé Knowles-Carter as Nala, Chiwetel Ejiofor as Scar, Seth Rogan as Pumbaa, Billy Eichner as Timon, John Oliver as Zazu, John Kani as Rafiki, and James Earl Jones reprising his role as Mufasa. The film set for release July 19, 2019. The original Lion King hit theaters June 15, 1994. Based on Shakespeare’s Hamlet, the film tell the story of Simba, a young lion who is to succeed his father, Mufasa, as King of the Pride Lands; however, after Simba’s uncle Scar (Mufasa’s jealous younger brother), murders Mufasa, Simba is manipulated into thinking he was responsible and flees into exile. Upon maturation living with two wastrels, Simba is given some valuable perspective from his childhood friend, Nala, and his shaman, Rafiki, before returning to challenge Scar to end his tyranny and take his place in the Circle of Life as the rightful King. It featured an ensemble cast that includes Matthew Broderick as Simba, James Earl Jones as Mufasa, Jeremy Irons as Scar, Jonathan Taylor Thomas as young Simba, Moira Kelly as Nala, Nathan Lane as Pumbaa, Ernie Sabella as Timon, Rowan Atkinson as Zazu, Robert Guillaume as Rafiki, Madge Sinclair as Sirabe, Whoopi Goldberg as Shenzi, Cheech Marin as Banzai, and Jim Cummings as Ed. The Lion King grossed nearly $1 billion in both worldwide box office sales and merchandise. It is currently the 35th highest-grossing film of all time, the seventh highest-grossing animated film of all time worldwide and the third highest-grossing film of Walt Disney Animation Studios (behind Frozen and Zootopia). The film was also the highest-grossing motion picture of 1994 worldwide.